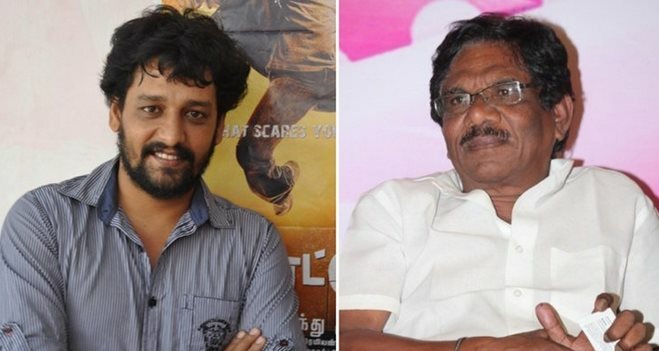 Veteran filmmaker Bharathiraja, who was last seen in a pivotal role in Tamil thriller "Pandiya Nadu", is busy shooting for a yet-untitled Tamil project that also features actor Vidharth. "The team has been shooting for the last two weeks in Chennai. Director Bharathiraja has a very crucial role, much different than what he played in 'Pandiya Nadu'", a source from the film's unit told. The film is being directed by debutant Mukilan, the winner of the third season of reality show "Naalaiya Iyakkunar". The team is still on the lookout for the leading lady.